Content management is the process of organizing and consolidating these pieces of content in the most efficient way. The organized content can then be used over and over again (content reuse) for many different publications and re-purposed for multi-channel publishing. Various types of content management systems exist to meet the needs of users in a range of different industries. Content management can entail anything from managing a website’s digital assets to storing enterprise documents such as branding guidelines, business plans, emails, and more. We bring you experts from the world of e-commerce to share with you helpful tips and knowledge that you can use in your e-commerce business. Online sellers, internet solution providers, SME business, retailers, chain stores, entrepreneurs, university graduates and anyone interested. This event is free of charge. 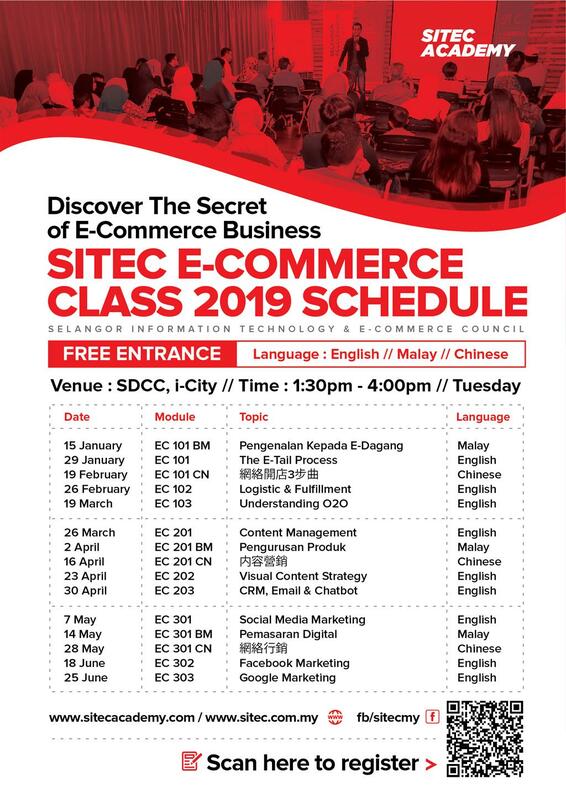 However if you cannot make it, do have the courtesy to alert us via email ecclass@sitec.com.my or just buzz me via WhatsApp at 017 260 9960 (so that we can tell the caterer as to how much food we need to prepare to minimise wastage).SITEC has also invited companies from the e-commerce industry to come and open counters. 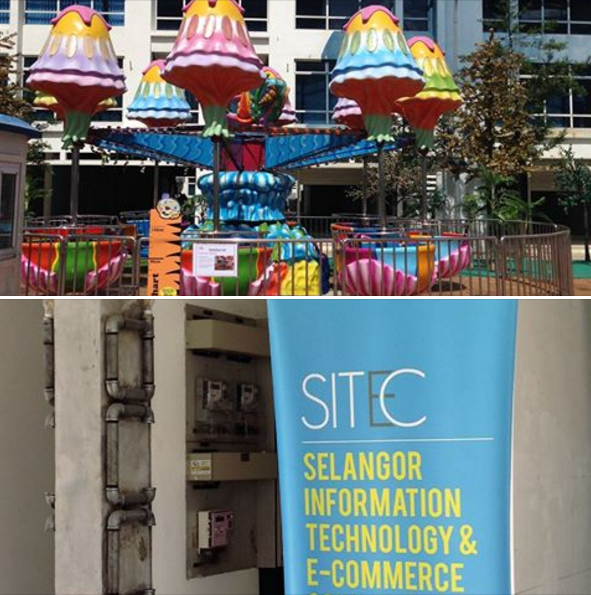 You can visit their counters before and after the class to find out more about e-commerce services offered. Event will begin at 1400 and registration starts at 1330. Check-in process is simple, just show us the barcode/QR code of your mobile ticket, or tell us your name will do. Delicious local delicacies are waiting for you after the class. 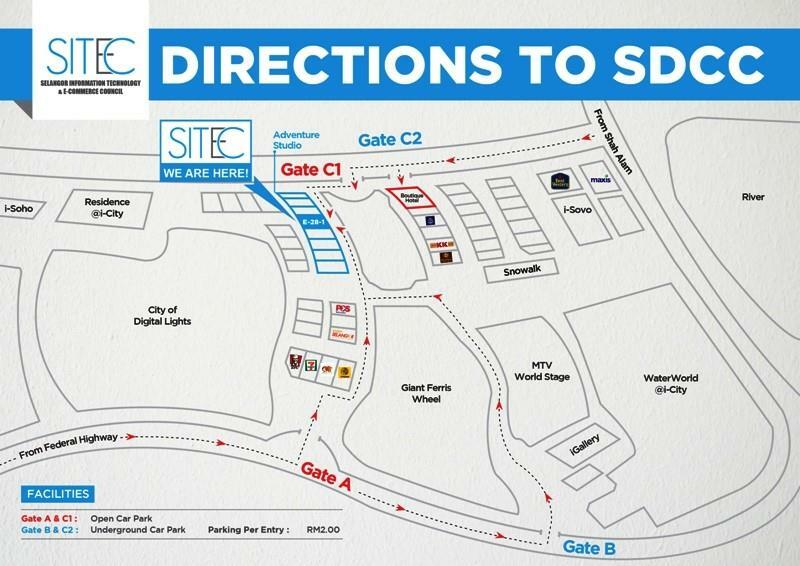 SDCC (Selangor Digital Creative Centre) is located inside i-City Shah Alam (https://goo.gl/maps/nd3Ma8sHUwm). Look for E-28-1, we are at 1st floor and there's a bunting at the staircase, you won't miss it. Monday to Sunday (6am - 7pm): 1st 2 hour or part thereof,RM3, Subsequent 2 hour of part thereof RM3. So I sincerely hope you do not give this a miss as especially if you are still new in the e-commerce industry. Thanks for reading this and I'll see u soon!